The winner is kellyr78, whose email address is Kellywcu@yahoo.com. Mohwak will be contacting you via email soon! Congratulations. 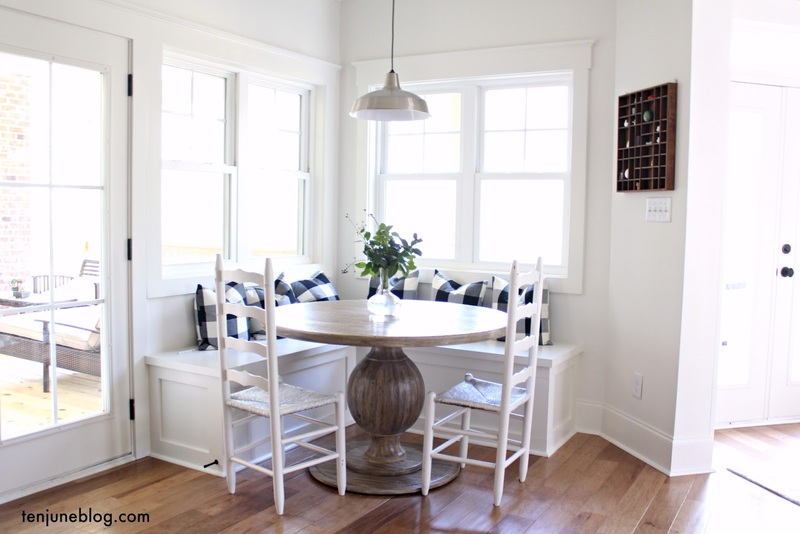 Earlier this week, I shared with you the new Mohawk rug in our nekked living room. Want to know why our living room is nekked? You can find out here. Today, I'm excited to share that Mohawk is giving away a rug to one of you! G I V E A W A Y : To enter to win a 5x8 Mohawk rug (valued at up to $150.00), simply leave a comment on this post telling me which Mohawk rug you would choose from here. Please be a follower of Ten June to enter. For additional entries, choose from the following: 1. Subscribe to the Mohawk blog via email and leave a comment letting me know you've done so. 2. Like Mohawk on Facebook and leave a comment on this post letting me know you've done so. 3. Tweet about the promotion on Twitter, linking to @mohawk_home and @tenjuneblog and leave a comment on this post letting me know you've done so. 4. Subscribe to Mohawk on YouTube and leave a comment on this post letting me know you've done so. Please leave a separate comment for each entry. Also, please include your email address in each entry. The giveaway will close at midnight on Sunday, November 25, 2012. The web link is not working to Mohawk site! I subscribed via email! Our living room is ::desperate:: for a new rug! I follow via RSS. I like the bangles multi. I follow you through Google Reader. I love the Felicia and Wilkshire rugs! The link was broken, so I hope I picked from the right place, but I'd go for the Wilkshire, Mink/Lichen...or the Cantrell, Med Dark Gold. I follow through RSS. Love the Bangles Multi. I follow you through Google reader and I love the Cora Brown one! I subscribed to Mohawk via email! I liked Mohawk on Facebook! I subscribed to Mohawk on YouTube! I just joined your blog! (Which is weird because I read it all the time and thought I was already a member.) My favorite is the Valencia Granite rug. It's interesting but still neutral, so it wouldn't limit my decor! I loved the Eason, then maybe the Alcott, then maybe the Cora is 3rd on my list. Love them!!! Awesome giveaway Michelle! Thanks for hosting! 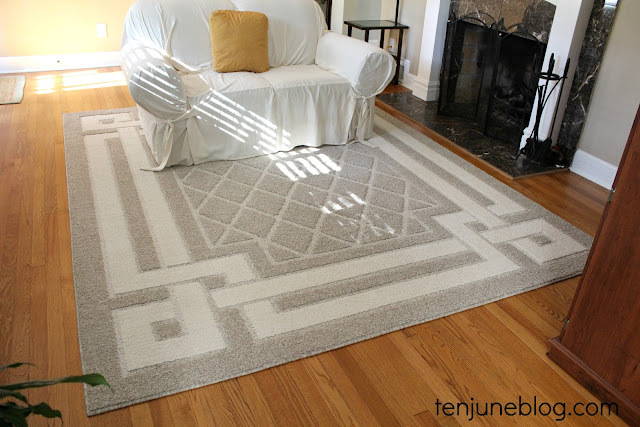 I follow ya and I'm loving the nice neutral color palette of the Simpatico rug! Yo sister I'm liking Mohawk on FB!! I'd love to have the Cora Beige one! Would love the Cantrell Med. Dark Gold. Wow! What a fun giveaway, Michelle. I'd LOVE the Felicia, Cocoa Parline for my poor bare floors. I just subscribed to the Mohawk blog! And....I subscribed via YouTube! Thanks again! Who cannot use a new rug? This is an awesome giveaway! I follow you, of course! I really like the Valencia - I'd put it in my kitchen! Thanks! I 'like' mohawk on facebook. That star rug is SO cool! Would be fun in a kiddo's room. I also like Mohawk on youtube. I also follow the Mohawk blog! I like the Medallion Rug! Thank you! I love the Simpatico Biscuit/Starch rug! I would love one of the floral area rugs. Am a follower, lol...really like the Peacock Brown Floral. Love the simpatico biscuit/ starch rug! I like the Aiken madder brown. I like the Mohawk Flowers Praline rug. I subscribe to the Mohawk blog. I like Mohawk on Facebook. I subscribe to Mohawk on You Tube. I follow Ten June Designs on Facebook. I am a follower. I love the Premiere Shag Teak Rug. I love the simply awesome in graphite...simple and a modern color. I like the Medallion rug. I love the Alcott Oyster rug. I follow Mohawk on Facebook as Jan Messali. I follow Mohawk on You Tube, as Jan Messali. I like the Silouette Shell rug. I subscribed to the Mohawk blog. I didn't list my email in my previous three entries! please add! I really like the afton copper area rugs. I'm having a tough time getting the Mohawk website to work, but from one of the images on their home page I love the La Scala chevron pattern. I grew up in Mohawk's hometown, so I'm glad to see they're making the blog rounds! I liked Mohawk on Facebook!!! I just saw I won this- thank you! I have not heard from Mohawk yet though?